Dr. Marc Winger, Superintendent, Newhall School District, 1997—. Photo ~2013. — Marc Winger is a 38-year Santa Clarita resident who was appointed as Superintendent of the Newhall School District July 1997. This position represented a return to Newhall, where Winger worked as an elementary school teacher for ten years, starting in 1974. From Newhall he went on to the Burbank Unified School District where he served as an elementary school principal for three years and then to Sulphur Springs School District, where he served for 12 years as assistant superintendent for instruction. Winger graduated from the University of California, Berkeley with a BA degree in History. He received his master's degree from the University of California, Los Angeles in 1980 and a doctorate from UCLA in 1992. His dissertation documented the effects of multi-track year-round education on the instructional leadership of principals, an extremely relevant topic as he led the Newhall School District through a conversion to this program in July 1998. Under Marc's leadership the Newhall School District also successfully passed a $35.5 million school construction and modernization bond in 1999 and improved developer agreements in order to build sufficient schools to alleviate the district's overcrowded situation. The District returned to a single track calendar in August 2003 after opening two new elementary schools. The District's tenth school opened under Winger's leadership in September 2005. He led the 5-year-long effort to complete a 2009 full mitigation agreement that will provide all necessary elementary schools in the 20,000 home Newhall Ranch project. In November 2011 the voters of Newhall authorized another $60 million bond for expansion of technology, energy efficiency projects, the replacement of portable buildings with permanent construction, and auditorium renovation. Winger is proud of the fact that Newhall's ten diverse elementary schools, some with large numbers of English Language Learners and students living in poverty, have consistently received high rankings for achievement and continue to receive state and federal recognition for excellence. During his tenure as Newhall's superintendent three schools have received national Blue Ribbon School recognition and all ten schools have received State Distinguished School status (most have received this honor at least twice during his tenure). Four schools have received Title I Academic Achievement Award recognition under No Child Left Behind (NCLB), and nine schools have been named to the California Business for Education Excellence (CBEE) Foundation's "Honor Roll" of top achieving schools. Newhall District's State Academic Performance Index (API) has been the highest in the Santa Clarita Valley for eight years in a row. Winger helped to organize the SCV Education Foundation's Teacher Tribute event and he helped to create the Foundation's Principal For a Day program, bringing business and school leaders together to forge a deeper understanding of the challenges confronting today's schools. He served for 12 years on the Board of Directors of the Santa Clarita Repertory Theatre and was instrumental in the creation of a state of the art 81 seat theatre in the Newhall Redevelopment corridor. He currently serves on the Board of Directors and Client Services Committee of the Santa Clarita Valley Child and Family Center, a mental health agency. 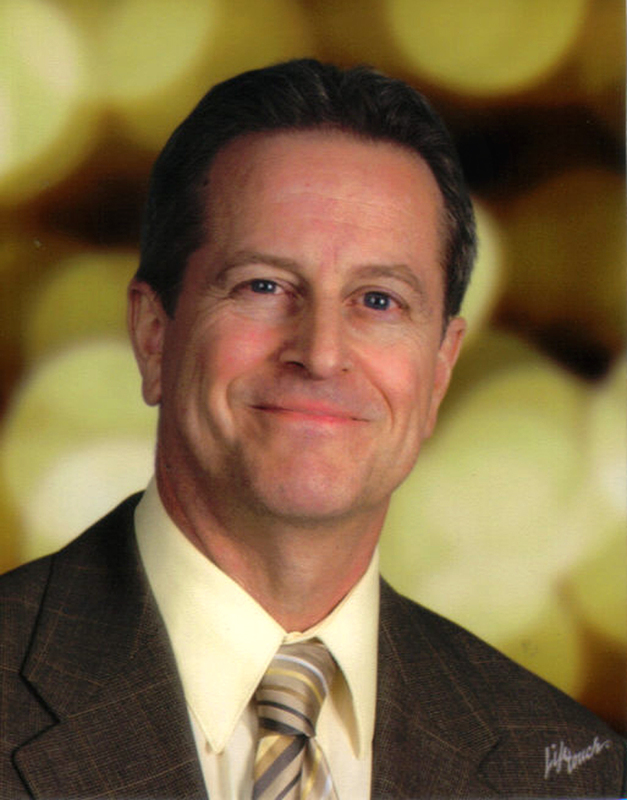 In 2005 Winger was selected as Superintendent of the Year and in 2008 he was selected for the Marcus Foster Award for Administrator Excellence by the Association of California School Administrators (ACSA) Region XV. Since 2009 he has served on the ACSA Statewide Superintendency Council and is currently a board member for the School Employers Association of California (SEAC). In 2010 he was named as a "Friend of the Press" in the SCV Press Club's Newsmaker awards. For nine years running (2005 to 2013) he was identified as one of the "51 Most Influential People" in the Santa Clarita Valley by the editorial board of The Signal, the area's local newspaper. In 2012 he was recognized as a "Leader of Character" by the Bill Hart District of the Western Los Angeles County Council of the Boy Scouts of America. Winger lives in Newhall with his wife, Eileen Mann. His son Evan attends University of California, Berkeley and his son Seth is a graduate of Stanford University. Marc believes that a child's experience in school, the reputation of a school, and the success of a school district require pervasive high expectations and the intense effort of teachers, administrators and parents working together, focused on students. Winger, M.A. (1995). "Students and radio: Getting the good word out," Educational Leadership, 52:8, May 1995. Winger, M.A. (1992). "Keeping on track: The instructional leadership of year-round elementary school principals," dissertation at the Graduate School of Education, University of California, Los Angeles, Digest version as ERIC Clearinghouse on Educational Management document, ED 358 563. Winger, M.A. and Hartzell, G. (1989). "Manage to keep teachers happy," The School Administrator, 10:46, November 1989. Winger, M.A. and Desrochers, C. (1989). "Designing a district-wide peer coaching program." Thrust for Educational Leadership, 18:5, February/March 1989. Winger, M.A. (1988). "Prudent approaches to bilingual education in California," Thrust for Educational Leadership, 17:7, May/June 1988. California State University, Northridge, Michael D. Eisner College of Education, Educational Leadership and Policy Studies, Instructor in graduate class in Master's Degree program, 2007-2009. "Walking the walk: Moving the system to standards based practice," with Paul Cordeiro, Association of California School Administrators (ACSA) Annual Conference, San Diego, California (November 2004) and with Paul Cordeiro and Steve Tannehill, NSD Governing Board President, at the California School Boards Association (CSBA) Annual Conference, San Francisco, California (December 2004). "Getting off on the right track: District-wide implementation of MTYRE," with Ronald Winkler, NSD Governing Board President, California School Boards Association (CSBA) Annual Education Conference, San Diego, California (December 1998). California State Program Quality Review (PQR) process training, Los Angeles Mountain Ocean Desert Consortium (annually 1987-1993). "Keeping on track: the instructional leadership of year-round elementary school principals," 24th Annual Seminar of the National Association for Year-Round Education (NAYRE), Las Vegas, Nevada (February 1993). "Designing a district-wide peer coaching program," with Sheryl Klein, Manitoba Teachers Society Conference on Peer Coaching, Winnipeg, Manitoba, Canada (April 1990). "Designing a district-wide peer coaching program," with Cynthia Desrochers and Sheryl Klein, 21st Annual Conference of the National Staff Development Council, Los Angeles, California (November 1989). 1997-1998 — Planned and successfully conducted the conversion of six out of seven elementary schools to a multi-track year-round education calendar to ensure housing of all students in a rapidly growing school district. Constructed a temporary school funded by a large developer in a severely impacted neighborhood. Worked with administrators and teaching personnel to transition the instructional approach at impacted sites from bilingual education to an English-only program. 1999-2000 — Led the effort, with a citizens' committee, to pass Measure K, a $35.5 million modernization and construction bond. Matching state funds, joint projects, and well timed refundings provided over $55 million for projects. 2002 — Five of the seven schools in the Newhall School District were designated as California Distinguished Schools. Since 1997 every NSD school that was deemed eligible has received national Blue Ribbon School recognition (Stevenson Ranch School), State Distinguished School status (6 schools) or Title I Academic Achievement Award School status (1 school). 2000-2004 — Worked with a Citizens Advisory Committee to plan and prioritize Measure K projects. Provided individual targeted modernization and/or expansion projects for every site in the district. Fully renovated and expanded three elementary schools with local bond and state matching funds. Constructed and opened Dr. J. Michael McGrath and Pico Canyon Elementary Schools in 2003, the former funded by local bond funds and the latter by a full mitigation agreement with the developer of a new community. 2002-2003 — Using a District Reorganization Committee composed of stakeholders, planned for and successfully executed the return of all schools to a single track calendar, established revised school attendance boundaries across the district, and generally reconfigured all budget, personnel, and academic programs to reflect the addition of two new schools and a return to a single track calendar. 2000-2005 — Wrote and received multiple grants from the Henry Mayo Newhall Foundation for support of the Newhall School District instrumental music program and school libraries. Wrote and received a major grant to establish a technology training center in partnership with the Los Angeles County Office of Education (LACOE) and California Technology Assistance Program (CTAP). 2003-2004 — Successfully led the transition of County-run severe special education units back to control of the local Special Education Local Plan Area (SELPA) districts. NSD now conducts programs for its own Trainable Mentally Handicapped (TMH) students and a regional program for Severely Emotionally Disturbed (SED) students. The transition resulted in greater local control, improvement of program, and fiscal containment. 2005-2006 — Opened Oak Hills School, the district's tenth elementary school, fully funded by a re-negotiated developer agreement. Five of the ten schools in the Newhall School District were designated as California Distinguished Schools, bringing the total to eight of ten district schools with this designation. 2006-2007 — Two additional schools received Title 1 Academic Achievement Award School recognition. All sites made Adequate Yearly Progress under NCLB. Successful completion of all projects funded under Measure K with a final report to the community and decommissioning of Citizens Oversight Committee. 2007-2008 — Wiley Canyon School designated as a National Blue Ribbon School. Two sites selected for the California Business for Education Excellence (CBEE) Foundation's "Honor Roll" of top achieving schools. Two sites — one repeat and one new — recognized as Title 1 Academic Achievement Award Schools. One school designated a California Distinguished School for the third time in ten years. All sites initiated efforts to become Professional Learning Communities. 2008-2009 — Six sites selected for the California Business for Education Excellence (CBEE) Foundation's "Honor Roll" of top achieving schools. One school recognized as Title 1 Academic Achievement Award School for the second year in a row. 2009-2010 — One school received the Title I Academic Achievement Award School award for third year in a row and as a State Distinguished School. Completed a full mitigation, developer-built school agreement for the 20,000 home Newhall Ranch Project. 2010-2011 — One school nominated for a national Blue Ribbon award. One school received the Title 1 Academic Achievement Award School award for the fourth year in a row. District awarded CSBA "Golden Bell" award for its Coherent Writing Program. 2011-2012 — NSD's district-wide API rose to 906/1000. Dr. J. Michael McGrath School selected as a National Blue Ribbon School. Three schools received State Distinguished School recognition, fulfilling the goal of all ten sites accomplishing this goal in the last ten years. One school awarded the Title I Academic Achievement Award for the 5th year in a row. Nine sites selected for the California Business for Education Excellence (CBEE) "Honor Roll" of top achieving schools. Measure E, a $60 million general obligation bond, is approved by voters for technology improvement, building renovation and energy efficiency projects. 2012-2013 — After six years of budget cuts and furlough days, NSD restored the 180 day student calendar. Stevenson Ranch School selected as a National Blue Ribbon School. One school awarded the Title I Academic Achievement Award for 6th year in a row. Seven schools named to the California Business for Education Excellence (CBEE) "Honor Roll" of top achieving schools. Planning for Measure E projects commenced. 2013-2014 — Two schools receive State Distinguished School recognition. Eight schools named to the California Business for Education Excellence (CBEE) "Honor Roll" of top achieving schools. District mission statement is rewritten to reflect changes in curriculum, financing and technology. NS1401: 19200 dpi jpeg from smaller jpeg.